“Many years ago I realized that one of the most important skills a leader must develop is the ability to hear the voice of the Lord. If you are not hearing God’s voice, how can you lead the people who will be following you? Since all of us (at least the majority of us) are leaders in various areas of our lives such as parents in the home, employees in the workplace, and leaders in the church, etc. we need to develop the ability to hear God’s voice. 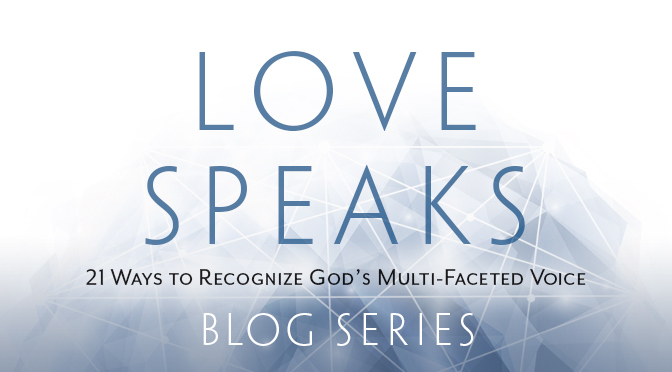 Recently, Carl Wesley Anderson, a former student of our Bible School, presented Dorothy and me with one of the first copies of a book he has just published entitled Love Speaks: 21 Ways to Recognize God’s Multi-Faceted Voice. Often the emphasis starts the other way around with people being directed to what is sometimes the spectacular, yet uncommon, ways God communicates. This in turn can often discourage people from believing that God can speak to them, as they do not see themselves as able to reach that level. Secondly, Carl breaks it down, identifying how each member of the Trinity has His way of communicating with people. Included are chapters on the established Word and the living Word of Jesus, followed by three chapters on the inner witness of the Holy Spirit. Carl goes on to introduce us to the Father speaking through all creation and nature, through the oceans of His love and providential outward signs and circumstances. I found it quite refreshing to see this subject presented in this way. “The Holy Spirit was emphasizing to me that God would teach me and that I didn’t need additional schooling. That’s not to say graduate school is wrong for everyone else; it was just not God’s plan for me at the time. And God used a Scripture to clearly show me what path I should take. “The Bible promises that God will guide us. But many Christians find it difficult to hear God’s voice. And in some charismatic churches, we complicate things when we try to make guidance mystical or weird – as if you have to hear an audible voice from heaven about what color shirt to wear. 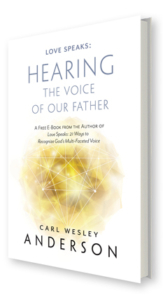 That is why I am so glad that my friend Carl Anderson has written this insightful book, Love Speaks.